Tales of a large man in the service of Jesuit missionary Alessandro Valignano are resounding through the streets of Kyoto. They say he is as dark as the night sky, over six feet tall, and as strong as ten men! Citizens of Kyoto beat down the door of a Jesuit missionary’s home, crushing several people in the melee, just for a chance to see the strange man. This man, commonly referred to as either Yasuke or Kurosuke, is making the rounds on social media lately. So we’ve decided to talk a bit about him. Yasuke, the First Black Samurai. 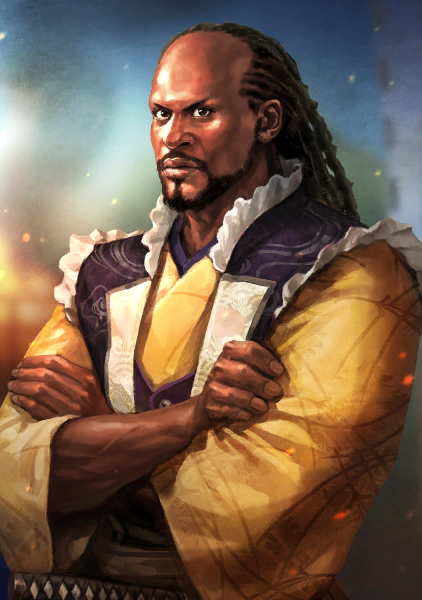 Yasuke, as he is commonly referred to nowadays, is suspected to have been born in what is now known as Mozambique. It is unknown what his name originally was but in the old days he was referred to as Kurosuke in Japan, which simply means Black Man. Yasuke was brought to Japan by the visiting Inspector of the Catholics, Alessandro Valignano, who was tasked with increasing the conversion levels of the Japanese and maintaining friendly relations with the Japanese warlords in control at the time. He replaced the trends of Francisco Cabral, who treated the conversion of the Japanese as something of ‘fixing the barbarians’. Instead he began instituting seminaries within Japan and training native priests. He also convinced the Jesuits to attempt to act Japanese: To dress like them, learn the Japanese language, participate in common rituals, etc. This was in the hopes of making the conversion from Shinto-Buddhist to Christian as seamless as possible, compared to Cabral’s way of openly criticizing the Japanese way of life and trying to force European culture onto the Japanese people. Regardless, Valignano had a certain African slave in his retinue, Yasuke. Yasuke was quite the imposing thing to see on the streets of the capital city, Kyoto. One day a group of onlookers kicked in the door of one of Valignano’s associates in Kyoto and trampled several people to death, just to catch a glimpse of Yasuke. This event brought Yasuke to the attention of one Oda Nobunaga. Nobunaga called for Valignano to bring Yasuke to the castle and present him for inspection. Believing that he had been painted black with ink, Nobunaga had Yasuke stripped and bathed in front of him. When it was proven that Yasuke’s skin was truly black, Nobunaga was even more intrigued. Yasuke was also able to speak at least basic Japanese, if not actually somewhat fluent in the language. To this end Nobunaga enjoyed conversing with the man and after some time of entertaining, either Valignano gave Yasuke to Nobunaga as a servant or Nobunaga requested Yasuke be given to him. Given Valignano’s stances on how to interact with the Japanese and how much of his success was due to Nobunaga’s good graces, I imagine that the latter is true; Valignano probably saw this as another way to get in good with Nobunaga. One story I’ve heard on the trade was that Valignano gave Yasuke’s service over to Nobunaga as Yasuke was a slave and so it was just the gift of property from one man to another to Valignano. But Nobunaga, not familiar with the slave trade, assumed that a man of Yasuke’s stature was a retainer of some minor prominence, like a Knight Bachelor, whom Valignano was loaning into Nobunaga’s service. As such Nobunaga honored the man by making him samurai and giving him title or lordship over one of Nobunaga’s castles. This story is pretty dubious though, first and foremost because Nobunaga never made Yasuke a lord in his own right. Secondly, the European slave trade was alive and well in the Philipinnes, Malaysia, India, and the rest of Southern and Eastern Asia by this point in time. I’ve read reports that the Japanese in Kyushu had started selling people who owed them money and their own children to the Europeans to take as slaves back to Europe. So the idea that Nobunaga wouldn’t know what an African slave’s role in the master-slave relationship was is pretty dubious, too. Either way Yasuke became a member of Nobunaga’s regular retinue and was at some point even made one of Nobunaga’s weapon bearers. It was during this time that one of Nobunaga’s relatives gave Yasuke a gift of money to live on; some sources I read said a nephew, maybe one Tsuda Nobusumi, others said it was one of his sons, probably Oda Nobutada. Nobunaga also is said to have honored the man by granting him the name we know generally know him by, Yasuke. The reason for this name is unknown, however a theory is that Yasuke was a member of Makua tribe of Mozambique and was originally named Yasufe. Another dubious account, since the Makua weren’t enslaved by the Portuguese until several years after Nobunaga’s death, in the mid-late 1580s. Another theory as to the name is that Yasuke was from the Yao tribe of Mozambique and so they simply called him Yao-suke basically Yao Man or more stylistically, Man of the Yao People. But really nobody knows, especially since it is spelled about four different ways in various different sources. It may have just been something Nobunaga liked the sound of one day and so he called him that. We are talking about a man who nicknamed two of his chief generals Inu and Saru, that is Dog and Monkey. Nonetheless Yasuke was apparently present at Nobunaga’s side when he marched east and fought against Takeda Katsuyori in Shinano and Kai. By this time the Takeda was all but broken and between the Oda, Tokugawa, and Hojo picking away at them, nothing was left. Nobunaga returned to the capital region and some time later was visiting Honno Temple. 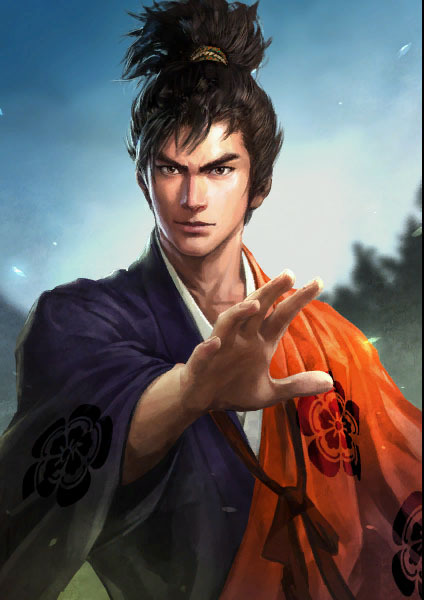 Akechi Mitsuhide, as might know by now, attacked said temple and killed Nobunaga. Yasuke was present for this and he was part of the group who fled to Azuchi castle with Oda Nobutada after Honno Temple burnt to the ground. Akechi attacked Azuchi castle and Nobutada was defeated, Yasuke is rumored to have fought for some time against Akechi’s men but was eventually forced to surrender. Akechi is largely regarded as to have said something about Yasuke not being Japanese, possibly called him a beast, and told his men that Yasuke wasn’t actually involved in the dispute since he was a foreigner. Yasuke was taken prisoner and handed over to the nearest Jesuit church. Another claim I personally find dubious is that the church was ecstatic about Yasuke being freed by Akechi as they were very worried about him being killed; considering he was a slave, I highly doubt they were really all that worried about him. If anything they were worried about the fact that someone as learned and physically imposing as Yasuke would be able to fetch a really high price from another Japanese warlord. As for the claim that Mitsuhide called Yasuke a ‘beast’, it is often touted to show Mitsuhide as the ‘evil backstabber’ to also make him sound like a racist. The problem with this is that…the Japanese at the time were very Xenophobic and referred to all of the Europeans, and the people who came along with them, as Nanbanjin or Southern Barbarians. The Japanese believed that the Europeans were from Western India, since they didn’t understand how large the world was compared to them, and believed they came from the south since they landed on the southern tip of Kyushu, Tanegashima Island. So to Mitsuhide, and his peers, Yasuke, Valignano, Cabral, and any other non-Japanese basically was considered a beast to them. At this point Yasuke disappears from the history books. There is a reference to an African Arquebusier working for the Arima clan a few years after this, but it’s highly unlikely that this person is Yasuke. Yasuke is often regarded as the First Black Samurai, or even the only Black Samurai. Except, of course, for Forest Whitaker.